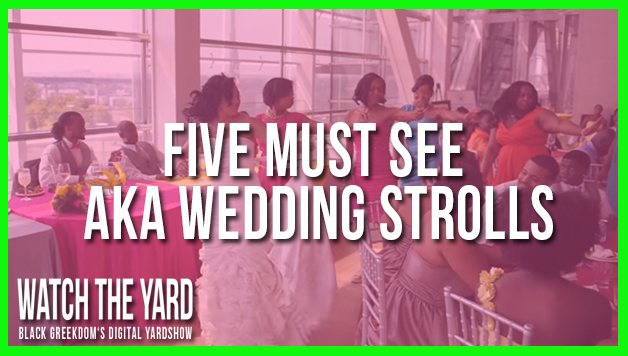 Wedding season is coming up and we at WatchTheYard.com thought it would be a good idea to hook our AKA viewers up with some wedding stroll videos. Whether you are the bride to be, one of the bridesmaids, or your line is meeting up for the first time in years to celebrate the big day, we think the following videos will help you get pumped for the wedding reception. Get ready to throw those pinkies up! If you liked this set of wedding videos, check out our “Five Delta Sweetheart Song Wedding Performances That Will Bring You To Tears Immediately”!